So I got the last box of Banana Nut Cheerios on the shelf at Walmart today which means that their “Limited Time” is probably over. 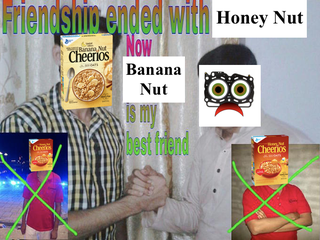 I could go back to Honey Nut, but i figured I would first consult the great Oppo hive mind. My daughter has Celiac, so must be gluten free. Whatcha got?